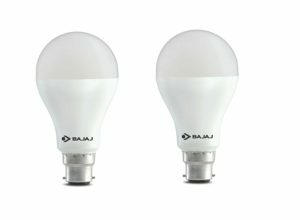 Amazon is here with a great deal offering Bajaj Base B22 15-Watt Led Bulb (Pack Of 2, Cool Day Light) at Rs 280. Looking for LED Bulbs..?? This is a great offer for you . Grab it Now..!! How to Buy Bajaj Base B22 15-Watt Led Bulb (Pack Of 2, Cool Day Light)?